Every little girl, old enough to have seen the timeless classic The Wizard of Oz, would want to be like Dorothy Gale. First of all, she has an adorable little dog. But she also gets to sport sparkly magic shoes, make friends with all stripes of people, and she's incredibly lucky when it comes to tornadoes. 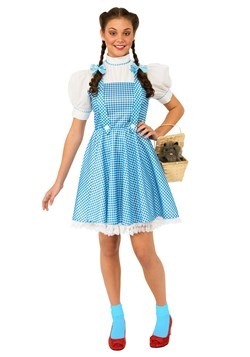 We can only refer you to your insurance company when it comes to the tornadoes, but we can point you and your little one toward this Sweet Dorothy Costume for Girls to emulate the iconic character herself. 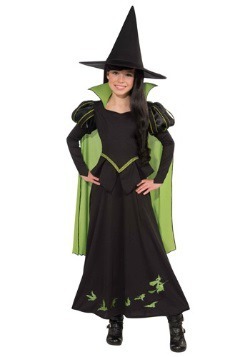 It's the perfect way for your little girl to look just like the star of the 1939 classic. 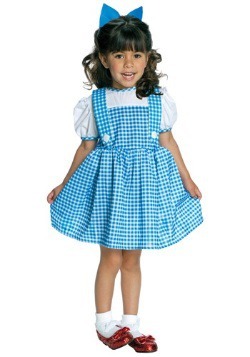 She'll be off to see that grouchy old Wizard once she's dressed up in this fashionable gingham style dress. But wait, did we forget something? Oh right, a pair of ruby slippers, just like the ones Dorothy got from Glinda the Good Witch! She can't go skipping down the Yellow Brick Road in just any old shoes. Please remember that those aren't included here! 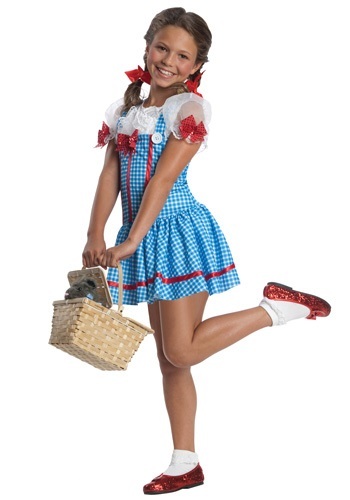 Whether your girl is dressing up for some Halloween trick-or-treating, or she's showing off her acting chops as Dorothy on a stage, this dazzling costume is a wonderful look for the job. 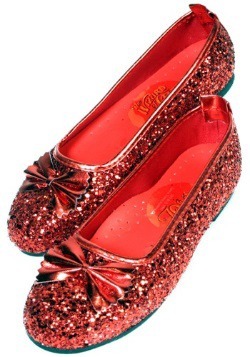 Just add those ruby red slippers to match the dress's red ribbon details, and she'll be ready for anything! Except tornadoes. Steer clear of those, and make sure you have insurance if you live in the midwest. The lion, the tin man, the scarecrow... You could get everyone involved and go out on the town! That would be a blast. What fun is an epic storybook quest if she's all by herself, anyway? 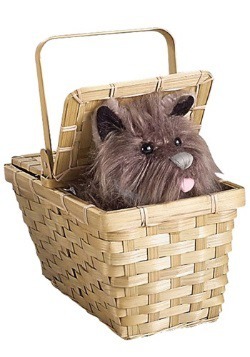 At the very least, she definitely needs a cute little canine companion to tag along, but if you don't already have a dog (and heading to the adoption center is not in the cards), a basket with a toy pup in it also makes a perfect furry friend. Bring plenty of snacks and water and you'll be all ready!